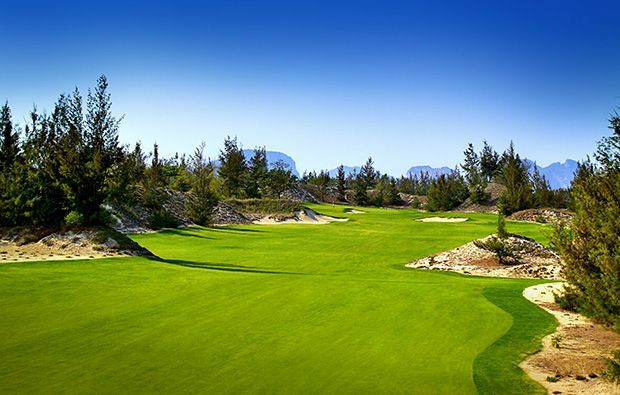 In keeping with its design philosophy you won’t find much water and instead in line with traditional links courses you will find fast and firm fairways that bleed gently into the natural local vegetation, bumps and hollows, huge bunkers and uneven waste areas. The prevailing wind, also a traditional hazard on Scottish links courses, also plays a part here but fortunately not too many of the holes play into the prevailing wind. The opening hole should help you to get off to a good start and the tee shot is set up for a gentle fade around the natural looking bunker on the right of the fairway. A simple approach if you find the fairway but be careful to find the correct level on the tiered green. 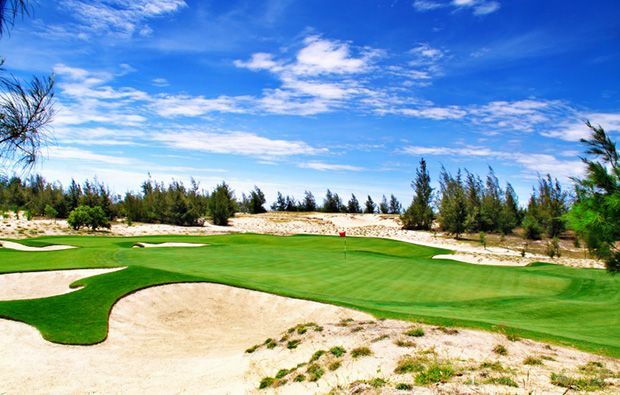 The next is the longest par-3 at Danang Golf Club but the large green offers an inviting target and even if you miss left there is a generous bail-out area. Avoid the right side as it’s very well guarded by six bunkers. The 3rd offer a scoring opportunity providing you can avoid the huge bunkers which guards the front left side of the green – once on the putting surface the ball tends to feed towards the middle. This is followed by back-to-back par 5s and the 4th is a tough one and is mostly uphill and you cannot see the green until you are within 150 yards. The 5th offer more of a birdie chance than the previous par 5 and big hitters can get up in two but need to avoid the bunkers which protect the slightly elevated green. The 6th is a gentle dogleg left par 4 which can either offer a birdie opportunity or wreck your card depending on which way the wind is blowing and best avoid the huge waste bunker down the left. Plenty of bail-out room to the right of the green. The finishing hole on this half looks pretty innocuous from the tee but get your approach wrong and the ball will roll back down the hill and could end up 60 yards from any pin position. 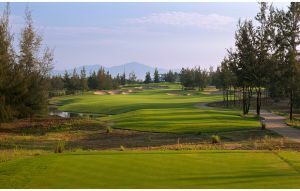 The back 9 at Danang Golf Club is as good as you’ll find anywhere and it starts with the longest par 5 on the course with the majestic Marble Mountains in the background. The hole ends at a green bisected by a dangerous ridge. The 10th which plays downhill to a wide green is one of golf’s best par 3s but watch out for the bunkers which guard the front and back of the green. The 13th is rated the most difficult and offers no respite and requires a perfect drive and approach to a slightly elevated green with a false front. The 14th is a driveable par-4 from elevated tees but probably not worth the risk except for the single handicapper. 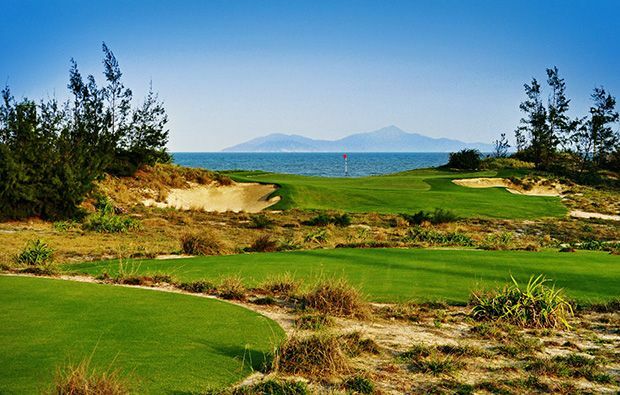 The 16th is Danang Golf Club’s signature hole with the sea and the Cham Islands in the background – the wind makes club selection difficult. A tough finishing hole but if you can avoid the menacing bunker on the left side of the fairway you should be able to reach the green. 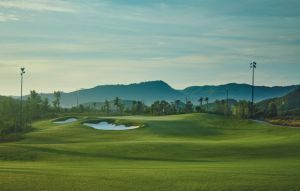 A truly stunning golfing experience with few equals in South East Asia with a purpose built clubhouse with everything you need to compete a perfect day on the links. This is a very famous and popular golf courses so if you want to be sure of playing here it is better that you book your tee time in advance. 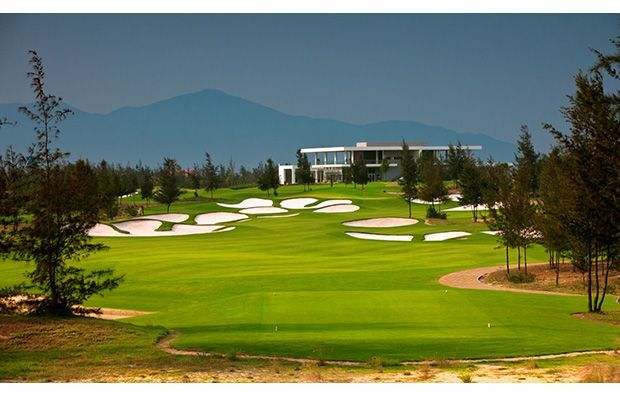 Danang Golf Club has different Services to offer. Choose a date and number or players to see the rates.